When was the last time you stopped and truly smelt the roses? We tend to rush through life and forget about the things that really matter. In the summer of 2005, I spent many weeks in Regents Park, the largest and best kept royal park in central London. It was here amongst the luscious and fragrant roses that I wrote my second book “Get the Life you Love and Live it”. It was during those hallowed steamy summer days that I truly and literally learnt to stop and smell the roses. My journey from a hyperactive, stressed out, self centred guy suffering all sorts of stress related ailments to a chilled out, laid back world wise man was almost complete. 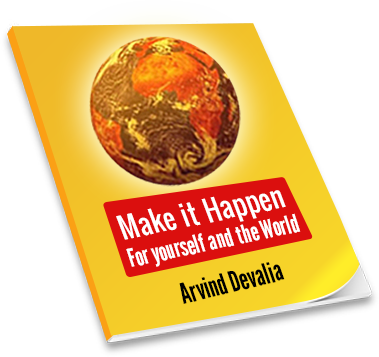 That journey to also being a self published author, coach and speaker began many years before that summer of 2005, when I visited an orphanage in South India. I was going through a number of major life changes back home in the UK and this trip to India was to prove to be a major life changing event. I spent a month at Nirvana School in Pondicherry, South India, simply being amongst the school children and the local people. It proved to be a most fulfilling time and ultimately paved the way for a new career in life coaching. 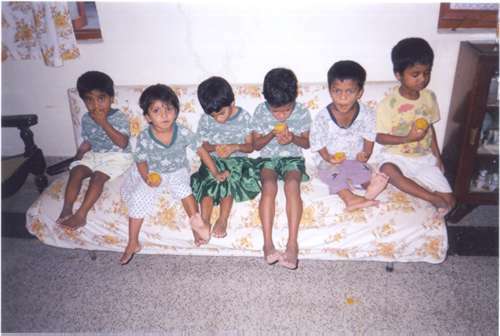 A friend back in London had donated some money to feed sweets to orphans, and so I ended up in this orphanage in Pondicherry within a Catholic run hospital. We took large Indian sweets called ladoo and were taken by the sister in charge to visit six orphan kids who were watching TV on what seemed like a massive sofa. They instantly jumped up and gave us their rapt attention. The sister who accompanied us simply handed over the ladoo whilst in my western naivety, I searched around for bowls and spoons! I almost felt foolish as the kids looked at us with grateful eyes. I was convinced that they were mocking me and my western garb. I was wearing far too many clothes for the steamy weather and I probably looked quite strange to them in my western trainers and sunhat. Soon the ladoos were gone and the sister explained how two of the kids were brother and sister, and how they had been found abandoned outside the hospital main entrance a couple of years before. 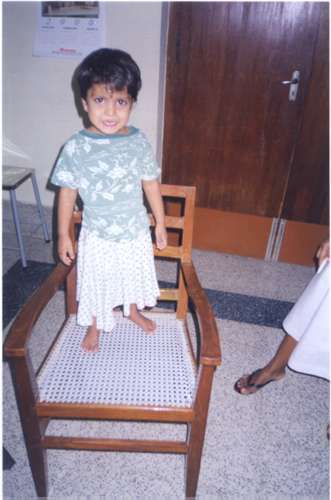 Instinctively, I picked up the little girl and placed her on a chair and began playing with her. She gurgled and her mischievous eyes seemed to twinkle with delight. At that moment, time seemed to come to a standstill. Nothing else mattered except this little girl and I was lost in her presence. After what seemed like an eternity but was probably only a few seconds, I instinctively looked up. And there, right in front of me was the catholic sister, looking back at me with sheer joy and love on her face. Our eyes locked and melted together into an ocean of compassion. The look in the sister’s all knowing eyes reassured me that it was okay to feel what I was feeling, and also that it was safe and perfectly okay to be openly loving and kind. In those few moments, I learnt what it meant to be human. I learnt what it felt like to truly show compassion, love and kindness. That was probably my first ever experience of unconditional love towards a total stranger. That little, innocent, helpless, orphan girl had captured my heart just like that. As tears streamed from my eyes, I knew then that I had found my calling and my path. My journey of contribution and service began in those few amazing moments of bliss, love and joy. Life was never the same for me again after that. Looking back to that magical day in April 2000, everything else pales into insignificance as I returned back to London and underwent major life changes all within a very short time. Two years later, I came across the concept of life coaching and realised that it was just what I had been searching for as a vehicle for helping others. Two self help books followed, with the second one being written in the summer of 2005 amongst the roses of Regents Park. 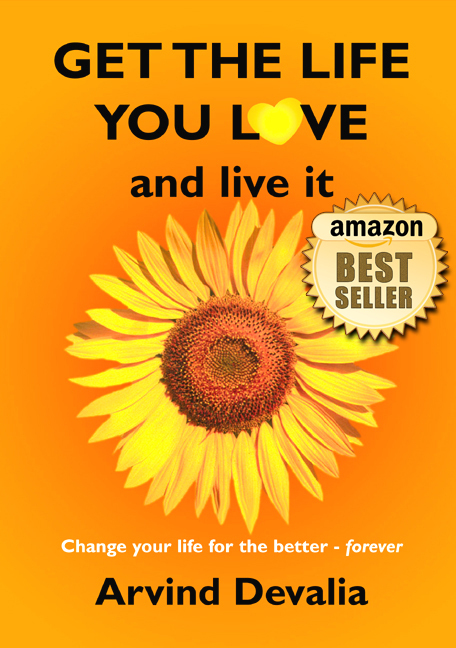 My second book “Get the Life you Love and Live it” became a real labour of love as I poured my heart and soul into my writing during those blissful days amongst the roses. I realised that through my coaching I could only reach so many people. But through my writing I could change many lives. To me, the book is almost like a life manual about living a life with purpose, commitment and making a difference to yourself and others in whatever way works for you. So there we are – as we enter 2007, I look forward to another year of contribution, celebration and connection. And of course smelling the roses in Regents Park. I invite you to spend a few moments reflecting on your life – and how you can bring more unconditional love into the world. WOW! Many thanks for submitting your lightbulb moment and photos which will feature in the flower smelling section of our Blog from February. It’s a pleasure to be associated with you and we look forward to meeting you in June. Happy flower smelling from the GO! Smell the flowers team. Arvinda, thanks for submitting this to my blog carnival! This was a great read and I think my readers will really enjoy it also! Thanks Riya for visiting my blog and for your kind words – you have added so much to my original article with your words. It is so true – everything in the world depends on true, unconditional and genuine love. And love is what keeps us alive and gives us a reason to live each moment in happiness. How wonderful is that! Lovely story, Arvind. When we are open to experience such moments of illumination, they often come unexpectedly and have life-changing results. Thanks Miss Footloose for visiting my blog and catching up on one my old blog posts. This is one of my favourite articles as it recounts a key life-changing experience for me. Thanks Ana – I am so glad you understood my story. 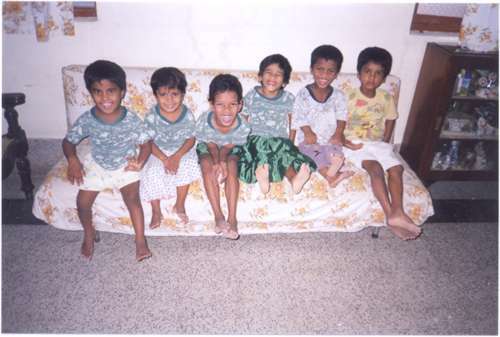 I hope you get to visit the girls orphanage during your visit to Pondicherry. Thank you for sharing the Secret Garden with me Arvind… where I did stop to smell the roses. It’s a magical please, and more people need to share it’s magic. What a beautiful story Arvind! As someone who has been lucky enough to spend time ‘smelling the Regent’s Park Roses’ with you I can vouch for their wonderful, heady and theraputic effect. 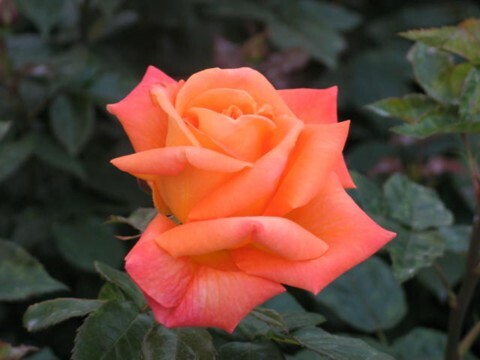 Thanks for sharing your roses with me and I must also add that spending time in your company was a true lesson in how to live a life filled with kindness, love and everyday compassion for others. Rosemary, thanks for all your kind words. I have learnt that it’s easy to be kind to those around you – one just has to have the desire and willingness to be open and loving. What a lovely post about a life changing moment. There is something about the innocent and grateful love of a child that can change anyone’s life. I’m blessed to work as an elementary school counselor and often see this. thanks so much for sharing your special moment! Lynne, thanks for your kind words and glad you liked this post. May you always continue to do your blessed work with children. Thanks for sharing this Arvind! Love your story, very inspiring!!! Keep up the good work, there are many good things to come!